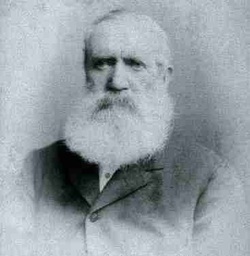 William Lawrence (or Laurence as his family knew him) came to Burley from East Keswick near Leeds in the 1840s when he bought Scalebor Park as a farm of 50 acres and created a boarding school for boys in the old hall. Evidence comes from the Population Census for 1851 and 1861, from letters written in 1849 by a former pupil and from the minutes of the Burley Local Board of Health in the 1850s. He was a bachelor, and his younger sister, Helen, acted as his housekeeper. In correspondence with a descendent, David Reed, we have learned that other members of his family were also boarding school proprietors. The Census revealed to us that he was head master of Scalebor Park school. In 1851 there were 26 boarders and 6 day boys and there were 40 boarders in 1861. Two letters and some “lines” written in 1849 by a boarder called Webster to his father, have survived. They suggest that the school was a place for educating Yorkshire boys whose parents could afford to send them away from home. The school closed sometime before the 1871 Census, because it is not recorded there. Lawrence was an elected member of Burley Local Board when it was set up in 1854. He seems to have been leader of the opposition to the Mill owners and the sanitary reformers who wanted to clean up the industrial village. Lawrence, for instance, opposed the proposal to charge a rate to pay for village improvements like a sewerage system. His opposition went as far as disputing the chairmanship, changing the venue of meetings and causing the minute book to disappear! Later, perhaps after a conversion experience, he led the campaign to build a new Methodist church in the village, which was opened in 1867. He retired back to East Keswick and died a bachelor in 1890. His sister, Helen, died in 1881.